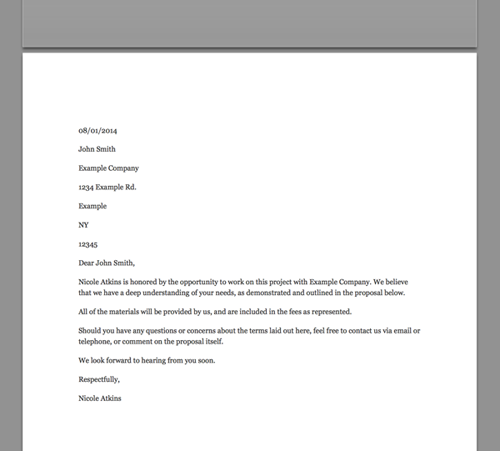 Can I add a cover letter to my proposal? There isn't a "cover letter" section, but you can create a section that has no header, which works very well for a cover letter. 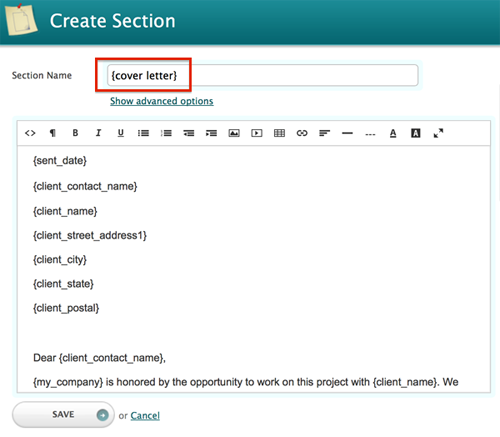 To create a section that you can use as a cover letter, go to your sections menu and click on the "new section" button to create a new section.